John Nicolson, the current owner of the house, keeps his treasured collection of wallpaper preserved between layers of tissue in chronological order, revealing both the history and tastes of his predecessors. First, there were the wealthy Huguenot silk weavers who lived in the house until they left for Scotland in the nineteenth century, when it was subdivided as rented dwellings for Jewish people fleeing the pogroms in Eastern Europe. Yet, as well as illustrating the precise social history of this location in Spitalfields, the wider significance of the collection is that it tells the story of English wallpaper – through examples from a single house. When John Nicolson bought it in 1995, the house had been uninhabited since the nineteen thirties, becoming a Jewish tailoring workshop and then an Asian sweatshop before reaching the low point of dereliction, repossessed and rotting. John undertook a ten year renovation programme, moving into the attic and then colonising the rooms as they became habitable, one by one. Behind layers of cladding applied to the walls, the original fabric of the house was uncovered and John ensured that no materials left the building, removing nothing that predated 1970. 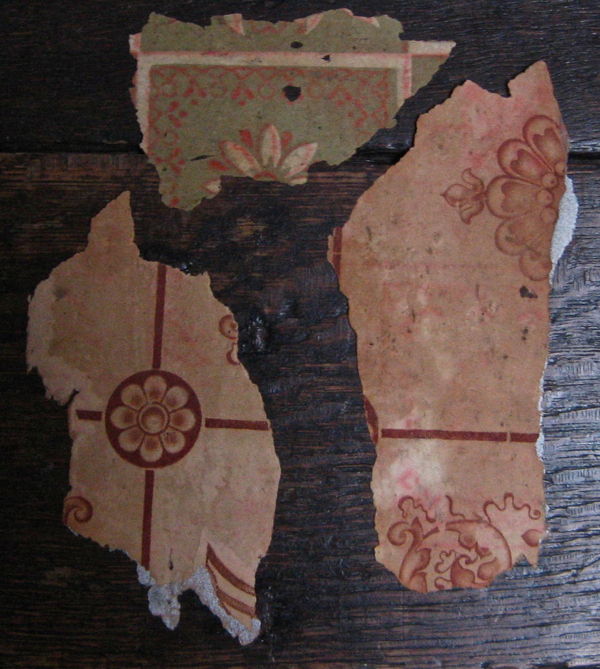 A leaky roof had destroyed the plaster which came off the walls as he uncovered them, but John painstakingly salvaged all the fragments of wallpaper and all the curios lost by the previous inhabitants between the floorboards too. “I wanted it to look like a three hundred year old house that had been lovingly cared for and aged gracefully over three centuries,” said John, outlining his ambition for the endeavour, “- but it had been trashed, so the challenge was to avoid either the falsification of history or a slavish recreation of one particular era.” The house had undergone two earlier renovations, to update the style of the panelling in the seventeen-eighties and to add a shopfront in the eighteen-twenties. John chose to restore the facade as a domestic frontage, but elsewhere his work has been that of careful repair to create a home that retains its modest domesticity and humane proportions, appreciating the qualities that make these Spitalfields houses distinctive. 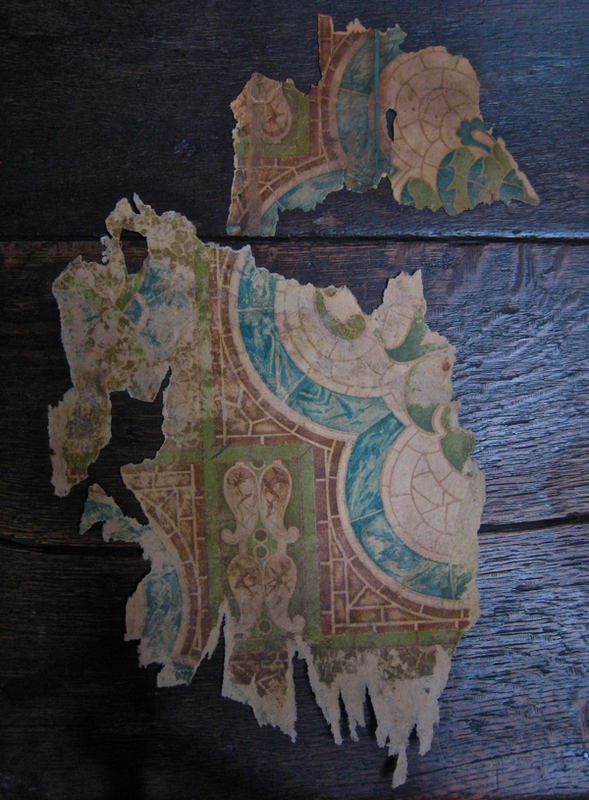 The ancient wallpaper fragments are as delicate as butterfly wings now, but each one was once a backdrop to life as it was played out through the ages in this tottering old house. I can envisage the seventeenth century wallpaper with its golden lozenges framing dog roses would have gleamed by candlelight and brightened a dark drawing room through the Winter months with its images of Summer flowers, and I can also imagine the warm glow of the brown-hued Victorian designs under gaslight in the tiny rented rooms, a century later within the same house. When I think of the countless hours I have spent staring at the wallpaper in my time, I can only wonder at the number of day dreams that were once projected upon these three centuries of wallpaper. 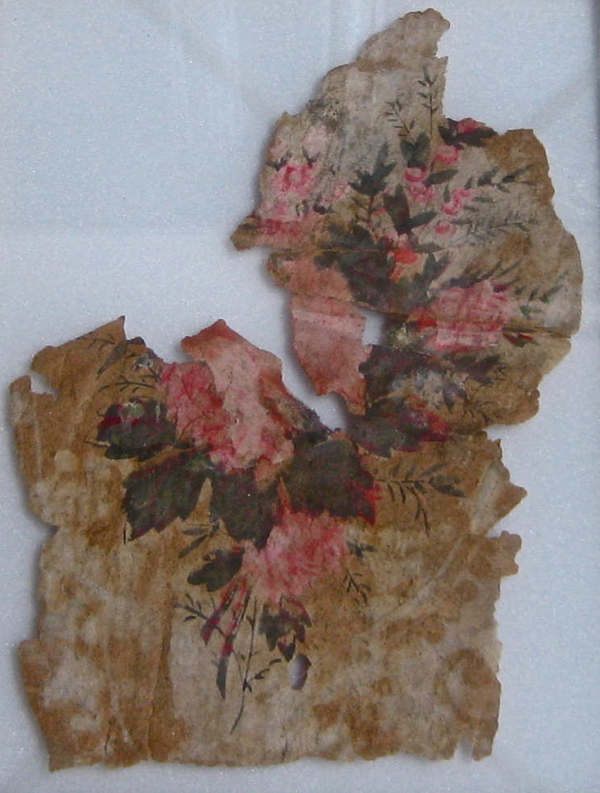 Flowers and foliage are the constant motifs throughout all these papers, confirming that the popular fashion for floral designs on the wall has extended for over three hundred years already. Sometimes the flowers are sparser, sometimes more stylised but, in general, I think we may surmise that, when it comes to choosing wallpaper, people like to surround themselves with flowers. Wallpaper offers an opportunity to inhabit an everlasting bower, a garden that never fades or requires maintenance. 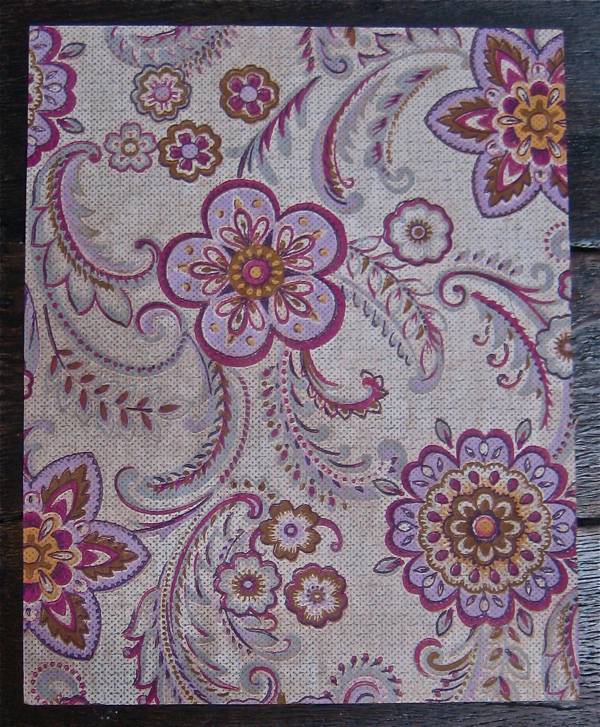 And maybe a pattern of flowers is more forgiving than a geometric design? When it comes to concealing the damp patches, or where the baby vomited, or where the mistress threw the wine glass at the wall, floral is the perfect English compromise of the bucolic and the practical. 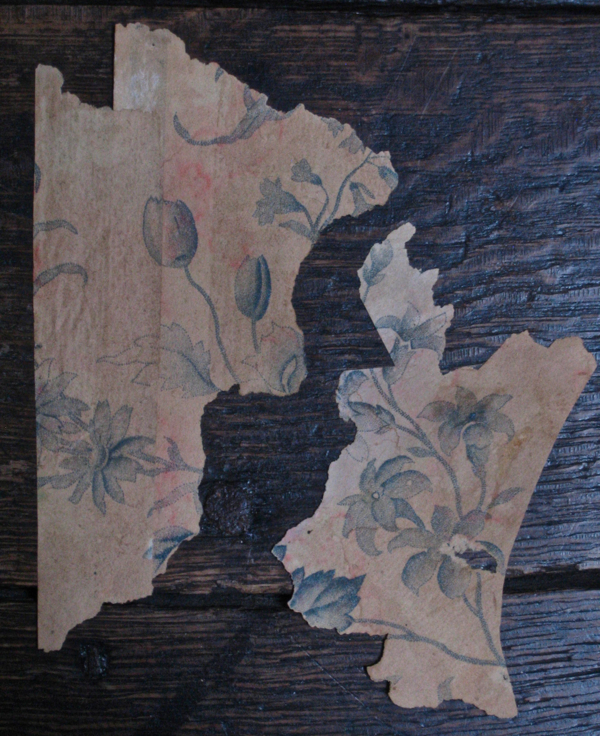 Two surprises in this collection of wallpaper contradict the assumed history of Spitalfields. One is a specimen from 1895 that has been traced through the Victoria & Albert Museum archive and discovered to be very expensive – sixpence a yard, equivalent to week’s salary – entirely at odds with the assumption that these rented rooms were inhabited exclusively by the poor at that time. It seems that then, as now, there were those prepared to scrimp for the sake of enjoying exhorbitant wallpaper. The other surprise is a modernist Scandanavian design by Eliel Saarinen from the nineteen twenties – we shall never know how this got there. John Nicolson likes to think that people who appreciate good design have always recognised the beauty of these exemplary old houses in Fournier St, which would account for the presence of both the expensive 1895 paper and the Saarinen pattern from 1920, and I see no reason to discount this theory. 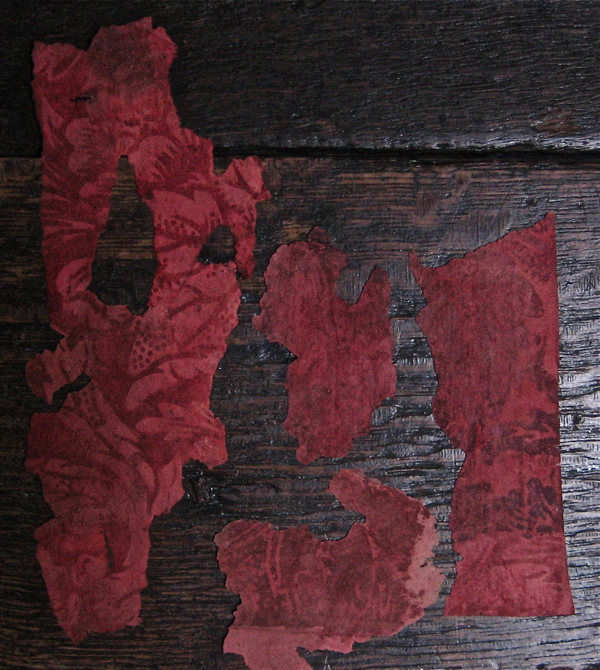 I leave you to take a look at this selection of fragments from John’s archive and imagine for yourself the human dramas witnessed by these humble wallpapers of Fournier St. 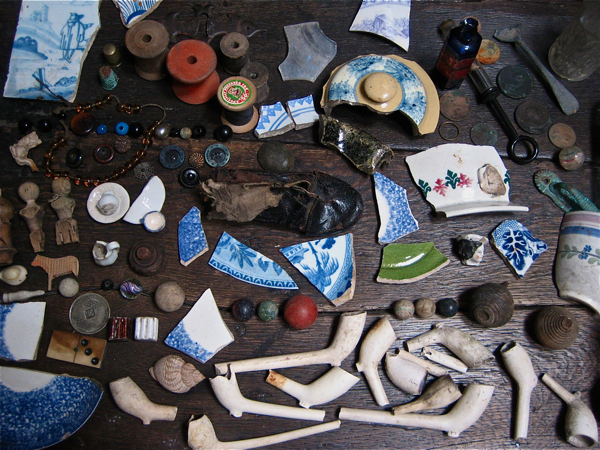 Items that John Nicolson found under the floorboards of his eighteenth-century house in Fournier St, including a wedding ring, pipes, buttons, coins, cotton reels, spinning tops, marbles, broken china and children’s toys. Note the child’s leather boot, the pair of jacks found under the front step, and the blue bottle of poison complete with syringe discovered in a sealed-up medicine cupboard which had been papered over. Horseshoes were found hidden throughout the fabric of the house to bring good luck, and the jacks and child’s shoe may also have been placed there for similar reasons. Simply amazing ! I really enjoy stories like that and admire the patience of this last owner who tries to understand and to know the lifes of its previous inhabitants. Thank you for the detailled story. 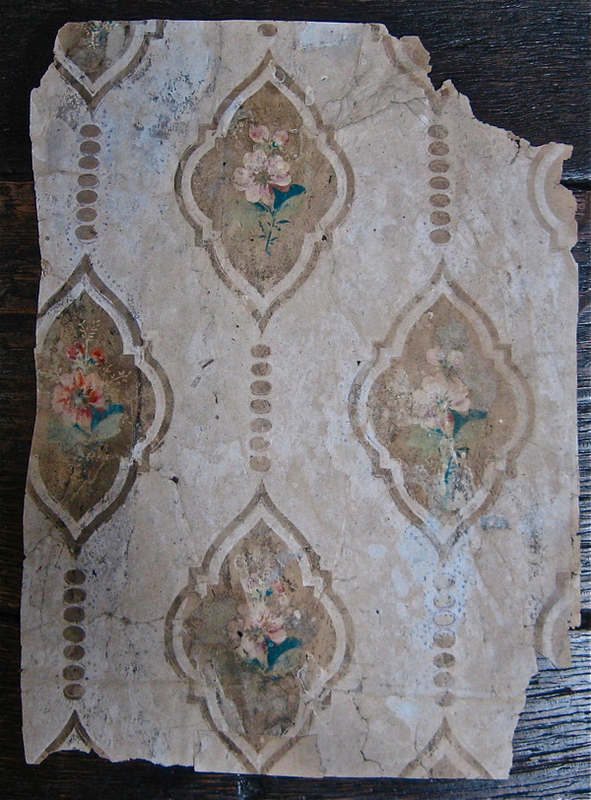 What an absolutely fascinating story – I have often been intrigued and appalled by the wallpapers that I’ve uncovered when renovating houses, but none of mine have been older than mid-Victorian. 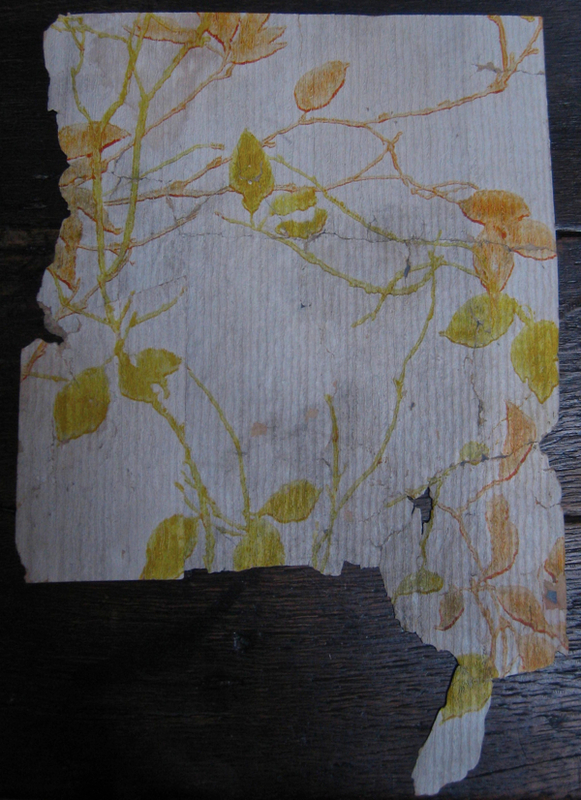 I love the idea of peeling back the layers of time in this way, and imagining the people who, as you say, have been ‘staring at the wallpaper’. What a delight to see all these wonderful papers and items from the house. A beautiful article with the beautiful ephemera. I feel envious that we do not have floorboards in this house for some future resident to discover lost bits of our lives since 1973. Not quite “Morris & Co” is it? Wonderful treasures. I think the first paper, with the gold, would be particularly lovely as a new paper to be enjoyed today. There’s something quite ‘modern’ about the design. I hope John has had the wallpapers with green and purple checked out for arsenic, etc emissions. Wouldn’t want him ill as a result of the old printing materials and his beloved collection! Absolutely fascinating. As someone who had an ancestor who lived in Fournier Street in the early 1800s I like to fantasise that one of these items may have belonged to them! Delightful and fascinating: thank you GA. 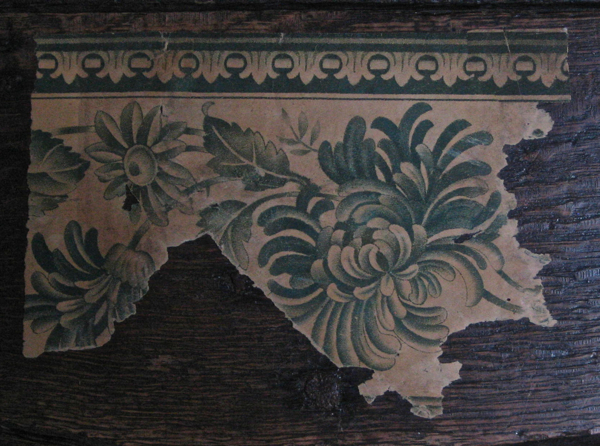 The wallpaper dated to 1690 is quite interesting, as I thought we at Manor Farm, Ruislip had the oldest wallpaper in situ in the country. 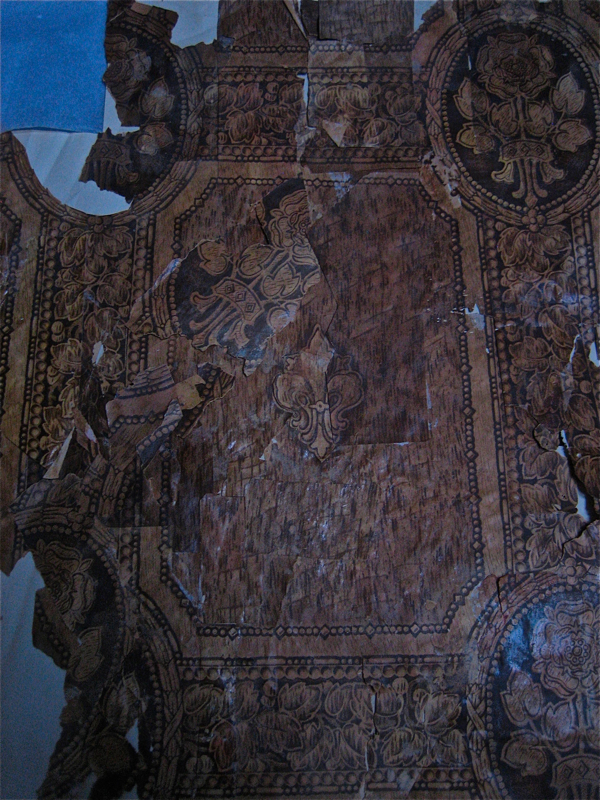 English Heritage/ Historic England, when they uncovered some wallpaper behind some fielded panelling (typically 1730s panelling), they had some research done, and came back with the date c1700. 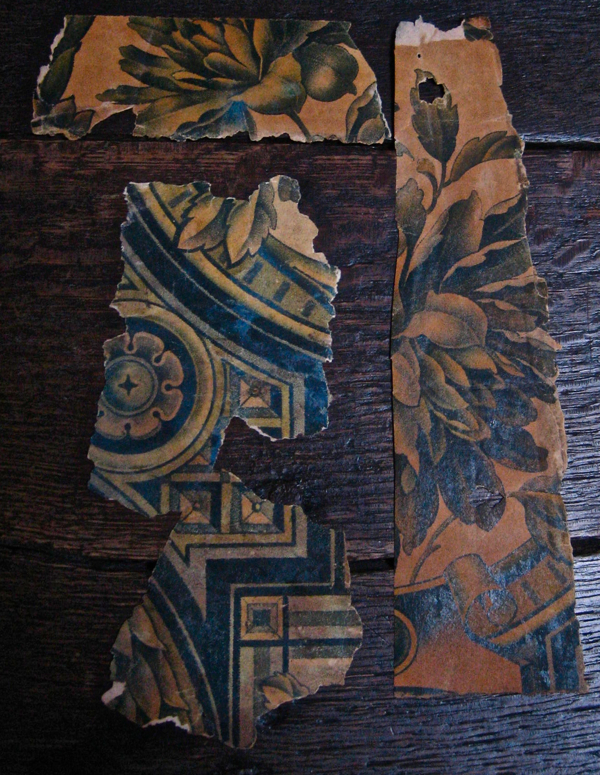 I really love this collection of wallpaper and the items found under the floorboards. They all tell a story about the house and the occupants. I am pleased that John “rescued” them all. This is fabulous – thanks for the visual treat. William Morris and Saarinen in the same house? Must have been a magical place. Bravo to archivists like Mr. Nicolson. This was obviously painstaking work over a long period which has seen a remarkable record of house history and domestic life in microcosm. Thank you for the piece. This is a particularly wonderful piece! Thank you for visually transporting us into this historic home, and for re-creating Mr. Nicolson’s painstaking preservation of bits of his home. It would be fascinating to see in person. I very much enjoy your reading your articles, but as a founding member of the Wallpaper History Society.org, to whom I have forwarded your blog, and the collector over 40 years of most of what has now become English Heritage’s Historic Wallpaper Collection, dating from 1690, I must disagree with the dates and information given on most of your papers. 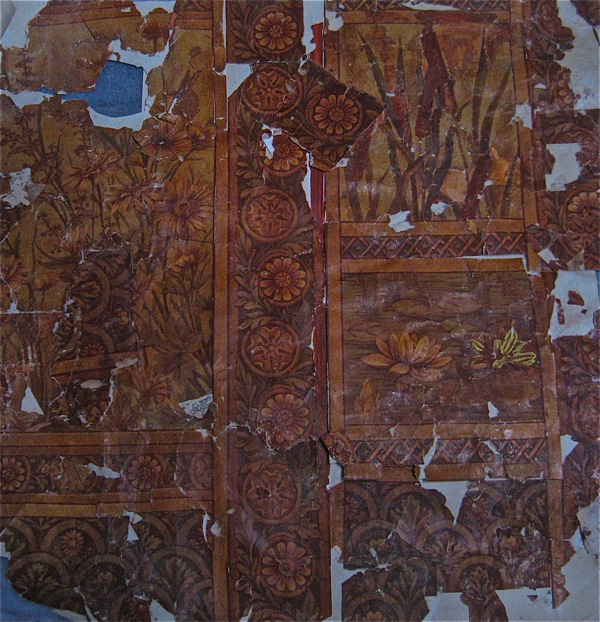 Early wallpapers were very expensive and heavily taxed, afforded only by the upper middle classes copying the more expensive fabrics used by the very wealthy as walling. 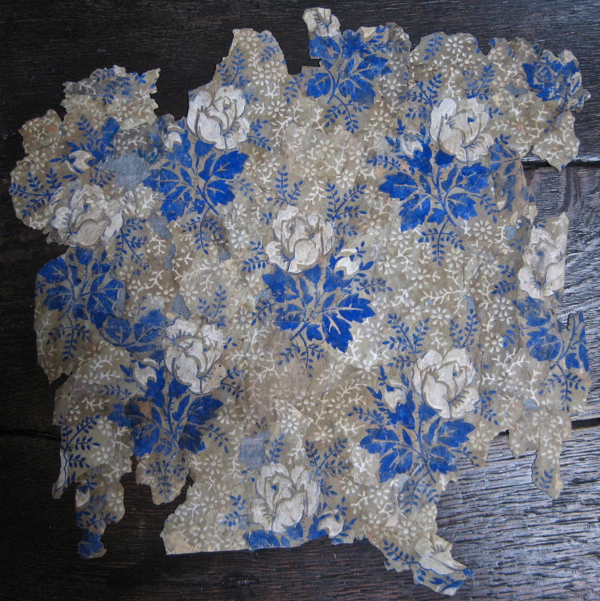 The majority copied Spitalfields floral silks or brocades until the 19th century. 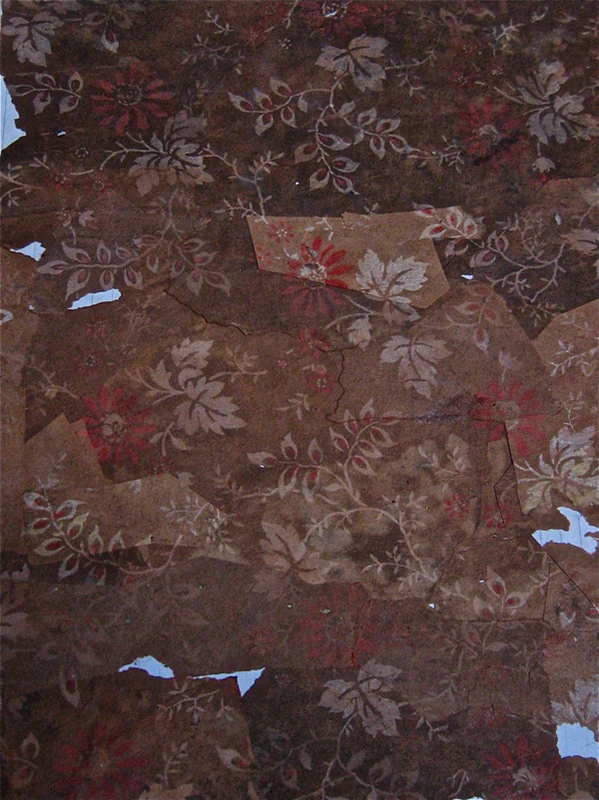 None of the fragments shown appear to be hand block printed, as was the norm up until about 1840. They all appear to be either very cheap machine roller prints on ungrounded straw based papers, from approx. 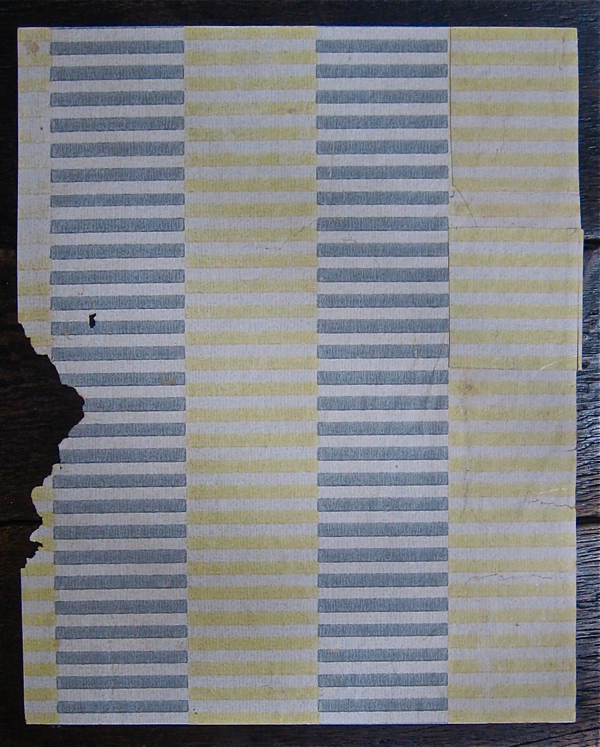 1830 onward or ‘Sanitory Papers’, the first washable papers printed in oil inks from copper rollers with a very distinctive soft dot stippled effect. 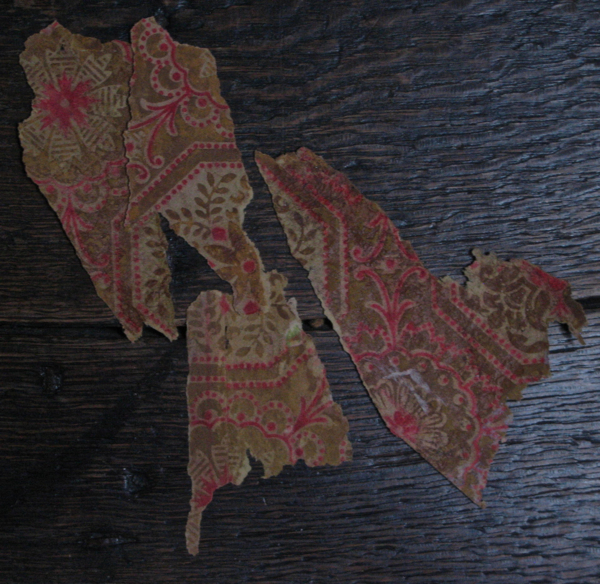 This can be seen on the rosette with sepia lines that you date as 1720′s & the floral you date to 1780′s. They were invented in the mid 1870s when they were printed in shades of one colour and by 1880′s in multicolours, like your ‘Arts and Crafts’ and Art Nouveau papers. The bright blue leaves are a synthetic Ultra Marine Blue, invented in 1830, becoming the height of fashion in papers about 1840. Before that it had been made from ground Lapis Lazuli, and the most expensive pigment available. When researching my Greenwood family in Lambeth I found the baptism of a Henry Greenwood son of Thomas Greenwood paper hanger. This was in 1816 so I cannot imagine that Thomas had a very long life as it must have been a very dangerous occupation, rather like being a painter and decorator. I believe that nearly all, if not all, of these people died from arsenic poisoning. No health and safety then!! I love this post. As a keen dressmaker with an interest in both vintage textiles and pattern design I love to find a wardrobe with garments preserved from various decades. Very evocative and interesting. Thank you.